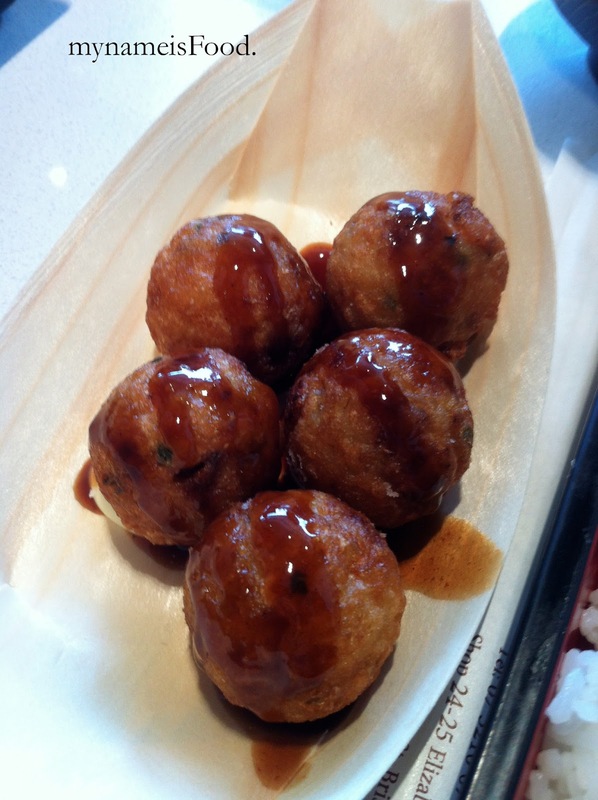 Himawari, Sunnybank, Brisbane - my name is Food. Karaage Obentoo box.. Obentoo is basically a lunch box in Japanese... Included a whole heap of rice and free rice top up as well is offered if you wanted.. But for me, I just ended up giving half of mine to a mate of mine sitting next to me coz he ate alot.. Simple salad of tomato mix and lettuce and the karaage... I personally enjoy and like the karaage... The texture and the moistness of the chicken and the batter worked well... Sauce is extra and I ordered myself the Japanese kewpie mayonnaise..